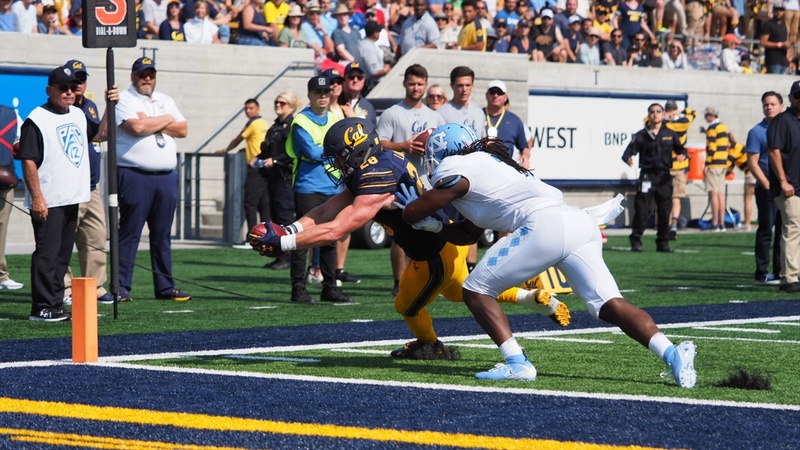 North Carolina, all but written off after three quarters, gave Cal a real scare at Memorial Stadium on Saturday, but the Bears held on for a 24-17 victory in the season opener. With a defense totally stifling the Tar Heels in the first half, Cal had a 24-3 lead at the end of the third quarter. But quarterback Nathan Elliott, who had thrown four interceptions and was made to look almost foolishly ineffective by the Bears, rallied his troops and engineered two fourth quarter touchdown drives to pull his team within seven points with 1:22 left.